About: A rare condition which occurs due to prolonged exposure to high levels of the hormone cortisol. Causes: Long-term use of corticosteroids, pituitary gland tumour or adrenal gland tumour. Gradual withdrawal of corticosteroids or surgery to remove the tumour. Cushing’s syndrome (hyperadrenocorticism) is an endocrine disorder caused by high levels of cortisol in the body. 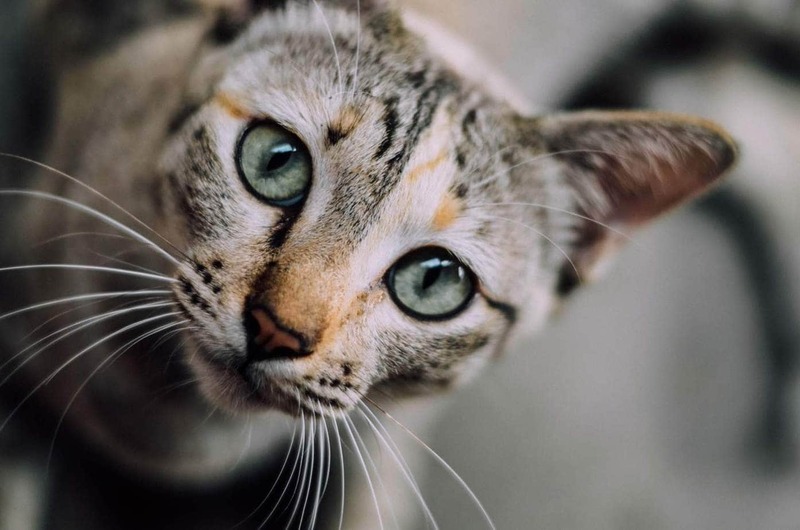 It is a rare disease in cats, middle-aged and older cats are most often affected. Iatrogenic Cushing’s (veterinary induced) – Iatrogenic Cushings is the result of too many corticosteroids (especially cortisol). Adrenal tumours – One or both of the adrenal glands ignore the ACTH signal and produce excessive amounts of corticosteroids due to a benign or cancerous tumour. Approximately 50% of adrenal tumours are cancerous. Pituitary tumour (Cushing’s Disease) – Micro tumours in the pituitary gland can lead to it producing excessive amounts of adrenocorticotrophic hormone (ACTH). ACTH stimulates the adrenal glands to produce too much cortisol (pituitary-dependent hyperadrenocorticism). The adrenal glands are located above the kidneys. The outer layer of the gland (adrenal cortex), produces hormones including cortisol, DHEA, estrogen and testosterone. Cortisol is essential for life, it plays several important roles, which include converting proteins into energy, releasing glycogen and has pronounced anti-inflammatory and immunosuppressive effects. Cortisol opposes the actions of insulin and in more than 90% of cats with Cushing’s syndrome also had concurrent diabetes mellitus. The medulla is the inner portion of the adrenal gland and produces epinephrine and norepinephrine (adrenaline), which raise blood glucose, blood pressure and cardiac output during a stress response. A suspicion of Cushing’s syndrome can be made if the cat has a history of long-term corticosteroid use as well as uncontrolled diabetes. Biochemical profile may reveal low calcium levels, elevated cholesterol, elevated glucose, possible elevated alkaline phosphatase and liver enzymes. ACTH stimulation test: This test measures the ability of the adrenal glands to respond to the adrenocorticotropic hormone (ACTH) which is made in the pituitary gland. ACTH travels through the bloodstream to the adrenal glands where it stimulates the secretion of other hormones such as hydrocortisone from the cortex. The ACTH stimulation test measures levels of cortisol in the blood before and after an injection of synthetic ACTH. Low-dose dexamethasone suppression test (also known as ACTH suppression test): This test can help distinguish between adrenal-dependent hyperadrenocorticism (ADH) and pituitary-dependent hyperadrenocorticism (PDH). It measures the response of the adrenal glands to ACTH. Dexamethasone is a synthetic steroid (similar to cortisol) which suppresses ACTH. Dexamethasone is administered and blood cortisol levels are measured. Cortisol levels should decrease in response to the administration of dexamethasone. Urine Cortisol:Creatinine Ratio (UC:Cr): This tests levels of cortisol in the urine and is measured against levels of creatinine. If the level is normal, hyperadrenocorticism can be ruled out. Abdominal x-rays can be useful to check for enlarged adrenal glands, calcification of the adrenal glands or other organs and an enlarged liver (hepatomegaly). Ultrasound: This can enable the veterinarian to measure the adrenal glands. In the case of spontaneous hyperadrenocorticism, your veterinarian will need to establish which gland is causing the disease. Treatment options will vary depending on the underlying cause of Cushing’s syndrome. Iatrogenic: Gradual withdrawal of corticosteroids. It is important to taper withdrawal to give the adrenal glands the chance to begin functioning again. Adrenal tumour: Surgical removal of the adrenal gland(s) (adrenalectomy). 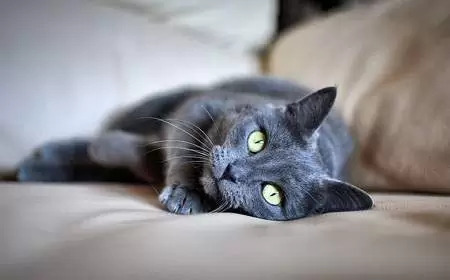 Pituitary tumour: Adrenalectomy is a risky and difficult operation, and once the adrenal glands are removed the cat will need replacement therapy with glucocorticoids and mineralocorticoids throughout their lives. *References: The Cornell Book of Cats.